There’s virtually nothing to separate our contenders for front space, although the Up is a little wider. Move to the rear and it’s a walkover for the Up. You wouldn’t call it commodious, but there’s more head room and a lot more leg room, and again it’s much wider. 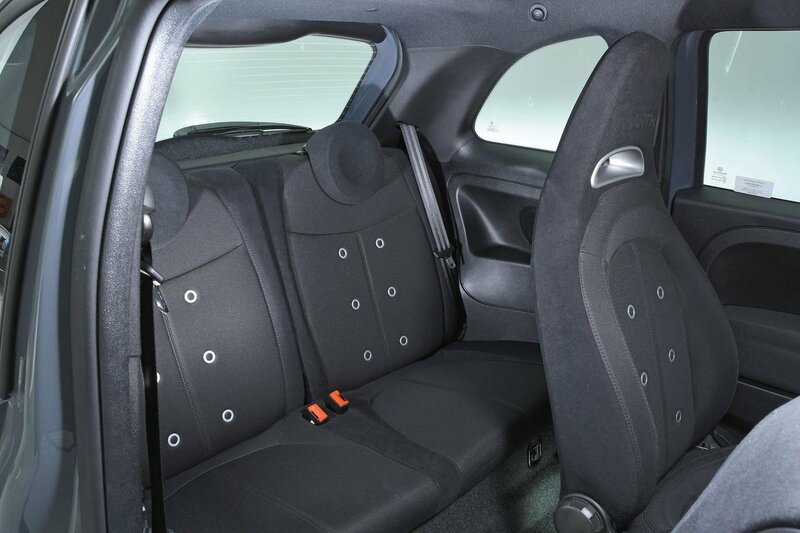 The Up’s front seats don’t return to their original position once they’ve been slid forwards to let rear passengers in, whereas the 595’s do. But then again, you can have the Up with a pair of rear doors for a few hundred pounds more, whereas the 595 is exclusively a three-door model. 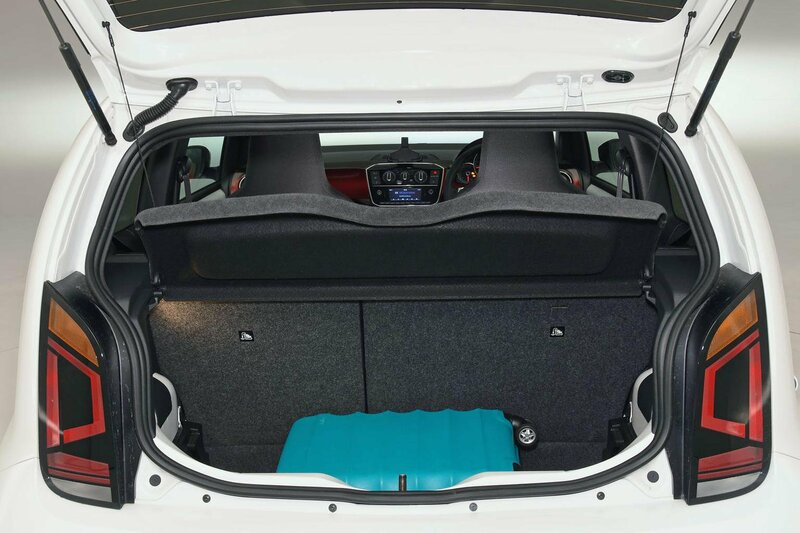 As for storage, the Up has more cubbyholes up front and a much bigger boot. Not only can it hold an extra carry-on suitcase, but it also has an adjustable floor that reduces the height of the loading lip by a significant margin. The 595’s boot isn’t just smaller; it’s also an awkward shape with a huge lip at the entrance and a smaller opening. 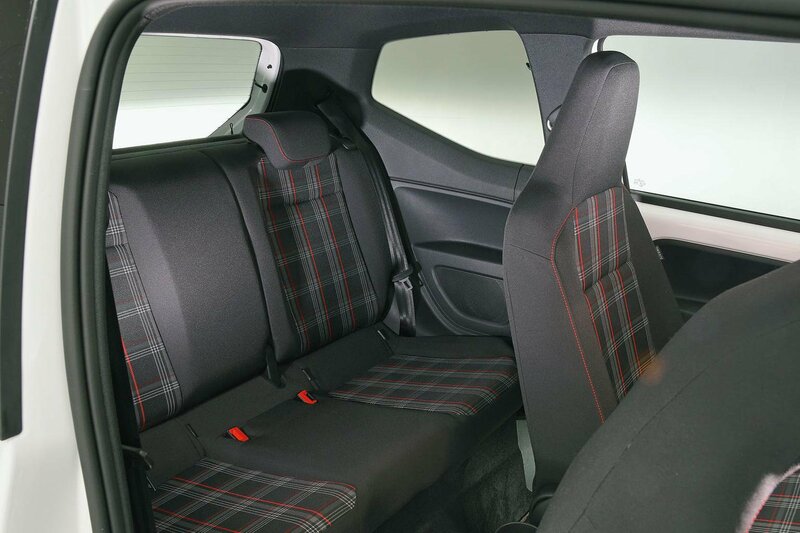 Both have split-folding rear seats, but folding down the Up’s provides a longer, squarer extended load area. The 595’s sloped rear end may give the car a distinctive shape, but it makes for cramped rear quarters. Although we got only two cases in the boot, there was loads of room left for smaller items. Rear seat bench folds 50/50. 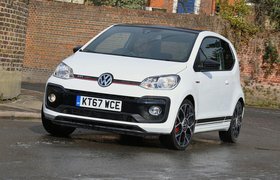 Even in three-door form, the Up GTI is practical for a city car. Head and leg room in the rear are better than in the 595 and the boot is much bigger, thanks to the squarer rear of the Up. 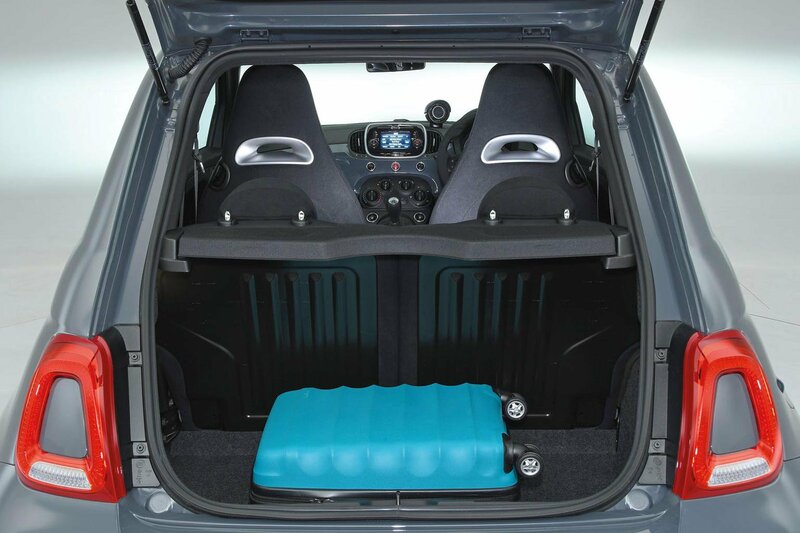 A height-adjustable boot floor is standard.